Roasted turnips are hearty and delicious. 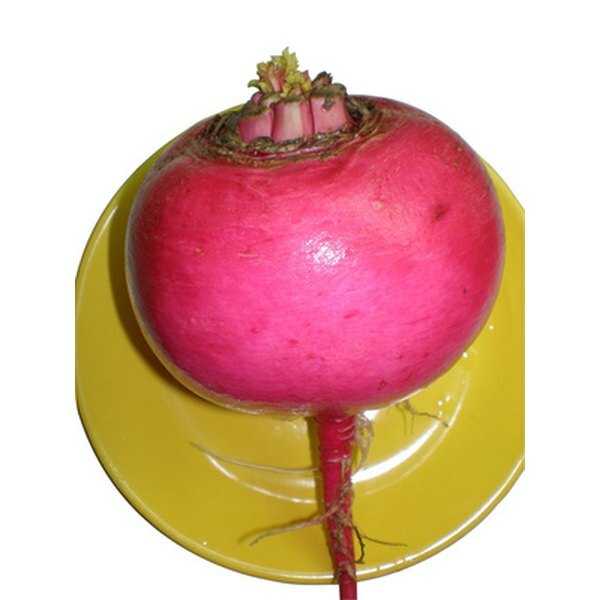 Turnips are root vegetables that are often used in soups, stews and holiday dishes. While there are many ways to prepare turnips, a simple and tasty way is to roast them in the oven. Roasted turnips work wonderfully as a side dish when combined with other root vegetables or served alongside turkey or chicken. 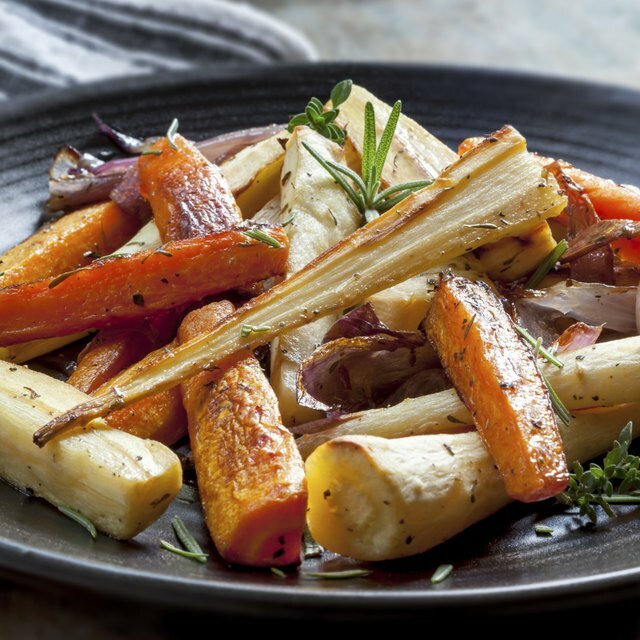 Roasting the turnips can be done using a few simple ingredients. Wash the turnips, using a vegetable brush to scrub away any lingering dirt or other grit. Cut away the leaf and root end of the turnips and peel them. Cut the turnips into wedges and place in a large bowl. Add enough olive oil to lightly coat the turnips. Place them in a single layer on a baking sheet. Sprinkle the oiled turnips with salt and pepper. Place the baking sheet into the preheated oven and let roast for 45 minutes or until tender.